On Thursday, Seattle Times editorial writer Melissa Santos wrote a column fact-checking Senator Maralyn Chase’s recent op-ed defending the legislature’s attempt to rush through a bill (SB 6617) that would limit their transparency. In response, Chase sent out a fundraising email on Friday morning claiming she was being targeted by dishonest members of the media. 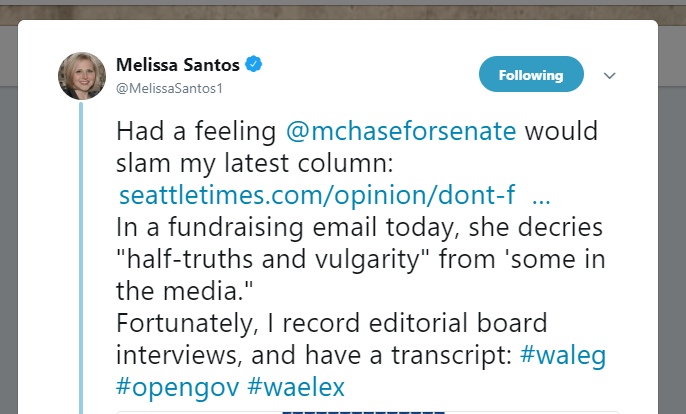 In a Twitter thread posted Friday, Santos defended her reporting and challenged Chase’s claim using portions of a transcript from a recent interview between Sen. Chase and The Times editorial board. The transcript includes quotes from Chase that previously hadn’t been made public. 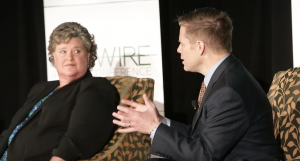 Despite voting for the bill that would remove the legislature from the Public Records Act, during the interview Chase claimed that her office readily makes her records available to the public. “You know, like I say, anybody can come look at my records. And I’ve only had one person in my all 16 years come and want to see my records. And fine, you have at it,” said Chase. 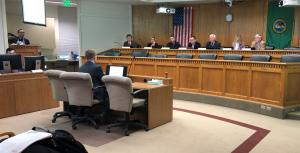 Then in January of this year, Thurston County Superior Court Judge Chris Lanese ruled in favor of the media coalition, stating that individual lawmakers are subject to the Public Records Act. The legislature quickly moved to appeal the decision. 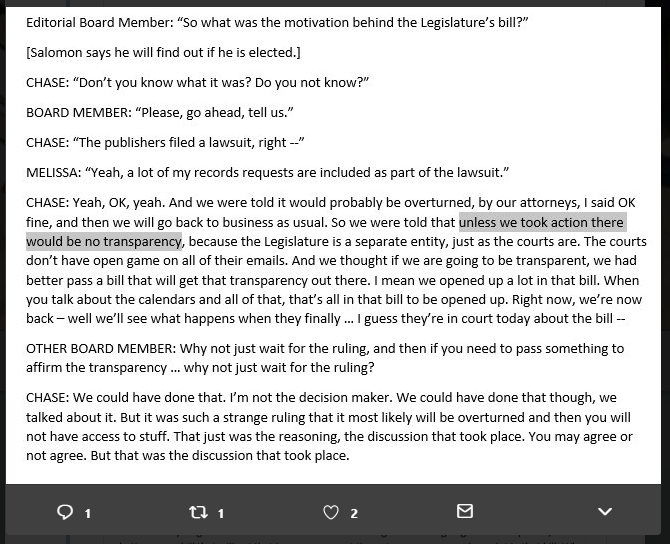 During the interview with the editorial board, Chase claimed that the reason the legislature moved forward quickly with SB 6617 is because the legislature’s attorneys said it was likely that the ruling would be overturned. If overturned, Chase said there would be no transparency. Santos also tweeted that during their interview, Chase claimed she didn’t support an income tax, despite having sponsored income tax bills in the past. “In sum, I take pretty thorough notes. So if you are going to suggest I’m peddling “half truths and vulgarity,” you probably should have something to back it up. Santos’s full thread can be found here and a separate fact-checking Twitter thread by Rachel La Corte of the Associated Press is here.